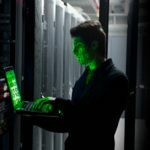 The Defense Department seeks to address cybersecurity concerns such as advanced persistent threats that use unauthorized entities to gain access to networks and steal data from an organization, C4ISR & Networks reported Wednesday. John Edwards writes Cedric Leighton, former National Security Agency deputy director of training, said APTs can collect large amounts of information which may be operationally sensitive. A Galois and Guardtime Federal team received a $1.8 million contract from the Defense Advanced Research Projects Agency in September to verify the capacity of Keyless Signature Infrastructure to serve as a monitoring system against security threats. “The DoD, along with the Department of Homeland Security and the intelligence community, are working hard to protect all U.S. government networks from APTs,” said Leighton. “We’re working in coordination with the [DoD], typically DARPA, on finding ways to effectively detect APTs and essentially amplify the attention of the defenders so that they can root them out and squash them,” added David Hamilton, Guardtime Federal president.